My goodness each gaming generation keeps getting more fascinating and the technology behind is just unbelievably exhilarating. PlayStation 5 and the next Xbox or around the corner. This E3 Microsoft will be dominating this conference in which Sony has decided not to be present. Xbox is expected to provide a release date or give a preview of their next console with a release window. Each generation keeps getting more interesting as technology involves and the gaming industry grows. 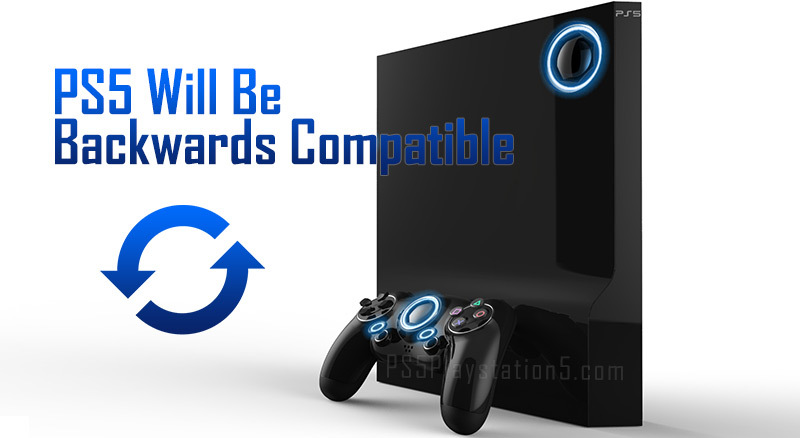 Sony has confirmed that Playstation 5 will be backwards compatible with the PS4! This is phenomenon news so when he did not make the PS4 backwards compatible with the PS3. There are so many of us out there that have a backlog of games and downloadable titles that are from the PS4 generation that we would like to enjoy in the next PlayStation release. Not to mention that the Playstation 5 will be running off of SSD hard driver for blazing faster speeds, from everything to loading your console and games, gameplay, and navigating through your dashboard menu. Sony is making it clear that virtual reality is very important to them as it is a parts of their future plans and also from that the current PSVR be compatible with the PS5. That’s exciting for VR fans and everyone else that is remotely interested in VR games. This the loyal fans free time Sony makes to help current customers, what is returned and they continue being loyal customers Sony was the first to get free games with their network service and customers responded to that kind of generosity with returning users to the PS4. Much of Microsoft Xbox plans are still under wraps and will be unveiled during the E3 2019 gaming conference in Los Angeles, California which takes place on June 11-13. Microsoft plans to go big by announcing new consoles and share more information on Halo Infinite. Microsoft has recently acquired 5 internal game studios The Initiative, Undead Labs, Playground Games, Ninja Theory, and Compulsion Games. Some of the titles produced by team members of these studios are Tomb Raider, Sate of Decay, Forza Horizon, Hellblade: Senua Sacrifice, DMC: Devil May Cry, Enslaved: Odyssey to the West, Heavenly Sword, and We Happy Few. Until then, there’s plenty of amazing Xbox and PlayStation games available here.